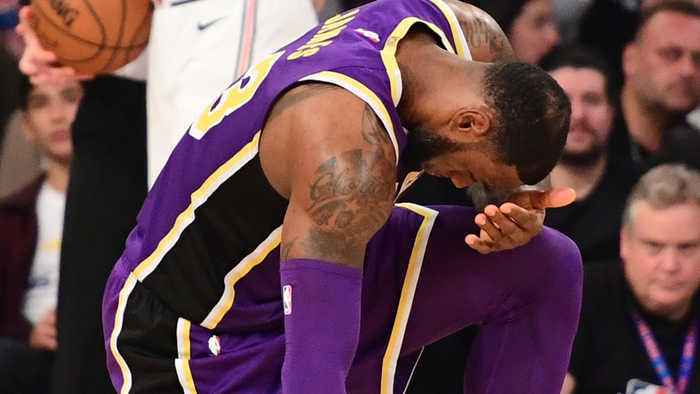 St Patrick's day wasn't so lucky for the Lebron James and the Los Angeles Lakers. Instead of finding a pot of gold on Sunday the Lakers seemed to find yet another L and this one may be the biggest one yet. Sunday the Los Angeles Lakers hit a new all time low after the New York Knicks went on a 13-1 run to defeat the Lakers 124 to 123. The Lakers have now lost 8 of their past 9 games winning only one game in the month of march against the bulls on march 12th. The knicks are currently the worst team in the NBA with a record of 14 and 56 but that wasn't the worst L the Lakers had to take on Sunday. The biggest L that was handed to the Lakers during what should be the luckiest day of the year was the way the Lakers lost.